For a number of EQMM’s contributors, writing for our magazine has become a family business, so to speak, stretching as far, in at least one case, as three generations. We’ve had husbands and wives, fathers and daughters, mothers and daughters, fathers and sons, even a father-daughter-granddaughter in a single family all providing us with top-notch stories over the years. Lovesey is a name we always think of in this regard, for Peter Lovesey is a winner of the EQMM Readers Award and his son Phil began his career as a published writer in our Department of First Stories, giving them each a special place in the EQMM family of writers. Peter Lovesey is, of course, one of the most celebrated of contemporary crime writers. His novels and stories have won innumerable awards, including Gold and Silver Daggers from the U.K. Crime Writers’ Association, and he is a recipient of the Cartier Diamond Dagger for Lifetime Achievement. Phil Lovesey is the author of seven novels, four of them crime fiction, and many short stories, one of which, first published in EQMM, won the U.K. Crime Writers’ Association’s best-short-story Dagger. 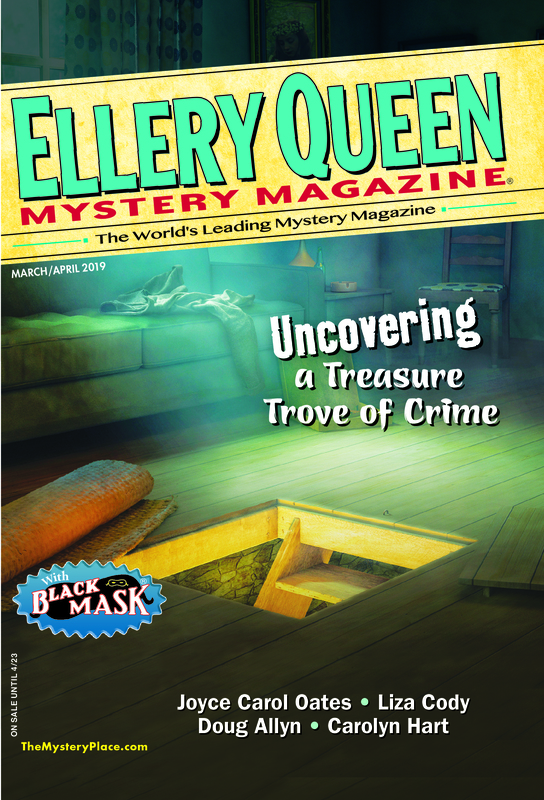 This entry was posted in Ellery Queen, Magazine, Writers and tagged family, generation, lovesey, mystery, short story writers, writers, writing. Bookmark the permalink. Love these photos—and the column here too, of course. And proud that Tara and I are among those husbands and wives who’ve both been published in EQMM over the years! Hoping others will be chiming in here too. Interested to see who else shows up! Yep, read that piece in the issue—such great company there!